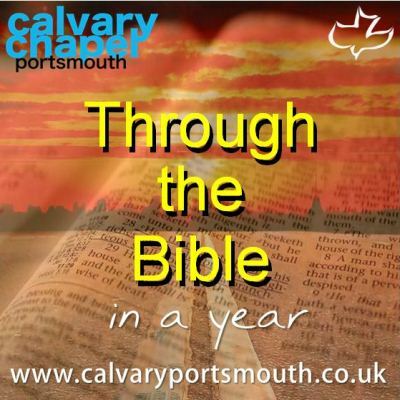 This study, taught by Pastor Barry Forder, is the 45th session of our ‘Through-the-Bible-in-a-Year’ series recorded during 2014 as part of our Sunday morning family services. In this study we review the letters of James and Peter, two of the most influential figures in the early Church. The Epistle of James is the first in a group of epistles often referred to by scholars as the General Epistles, which includes James, 1 and 2 Peter, 1, 2, and 3 John, and Jude. They are designated as general or “catholic” epistles in the sense that they are universal, not being addressed to any particular individual or church, but to the church as a whole. The Epistle of James deals with the ethics of Christianity, not doctrine. James deals with the practical side of our walk as Christians, yet he does not get away from the root of faith. James was evidently a very practical individual. Tradition says that he was given the name “Old Camel Knees” because he spent so much time in prayer. Due to its practical nature, this epistle has been compared to the Book of Proverbs and the Sermon on the Mount. James argues that justification by faith is demonstrated by works; if you truly profess to believe something, your actions will demonstrate your profession. If you are saved, your life will show it by your works (ch. 1–2), your words (ch. 3), and a rejection of worldliness (ch. 4-5). Peter’s first letter was to the beleivers (mainly Jewish) who had been scatered as a result of persecution from both the Jewish authorities and Rome. This letter is one of consolation and encouragement, yet at the same time packed with doctrinal gems. In the first few verses alone he mentions the doctrines of election, foreknowledge, sanctification, obedience, the blood of Christ, the Trinity, the grace of God, salvation, revelation, glory, faith, and hope. Peter may have lacked a formal education, but he had been with Jesus! (cf Acts 4:13). He had come a long way from his fishing boat on the sea of Galilee, and also now knew firsthand that trials were invaluable, acting like a furnace to burn away the dross and leave the pure (1:6-8). He addresses our need: for holiness (1:15), for the solid food of the Word (2:2), to abstain from fleshly lusts (2:11), and to be an example in the world by our conduct (2:12 / 3:13). The world in general will not accept us, speaking evil of us because we don’t join in, but to those who seek a reason, we must have answers for our hope – knowing that He cares for us. The theme of Peter’s second letter is ‘finnishing well’. We have come this far, let’s not give up now. We have been given ‘exceeding great and precious promises’ (1:4), and Peter’s desire is that, holding fast to those promises, we might have an ‘abundant enterance’ (1:11) into the kingdom, not spending our inheritance on things of no eternal value. We also have the ‘more sure word of prophecy’ (1:19) acting as a light to guide us home. This light is so important because of the coming darkness; just as there were false prophets in Israel that led the people into apostacy, and ultimatly captivity, so will there be in the church (2:1). These will seem to be genuine and sincere believers, but they will use feigned words and will take more than your money (2:2). Yes, they will be judged, but not before they have led many astray (2:18-21). We must remember that this world is not our home, Jesus is coming back, and our hope is not to save mother earth, but to dewll in the new heavens and new earth. Hence we should continue to live holy and godly, looking for and hastening the day (3:11-12).